Colored Shelves ⋆ Shelving Systems by E-Z Shelving Systems, Inc.
Powder Coat is an electrostatically-applied, heat-cured, powdered pigment that’s used to “paint” metal. E-Z can powder coat any shelving system component – uprights, brackets, shelves, and clamps. The result is very durable, very attractive, and should be considered for almost any shelving application. Satisfy finish requirements with NSF-listed options. Present “floating” shelves by matching uprights to wall color. 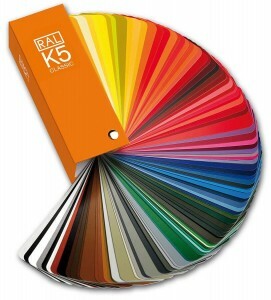 If you’re looking for colored shelves to match or complement decor, start by consulting an RAL Color Chart, as E-Z can typically provide for you any color that belongs to the RAL standard. For a color sample, use our Contact form. 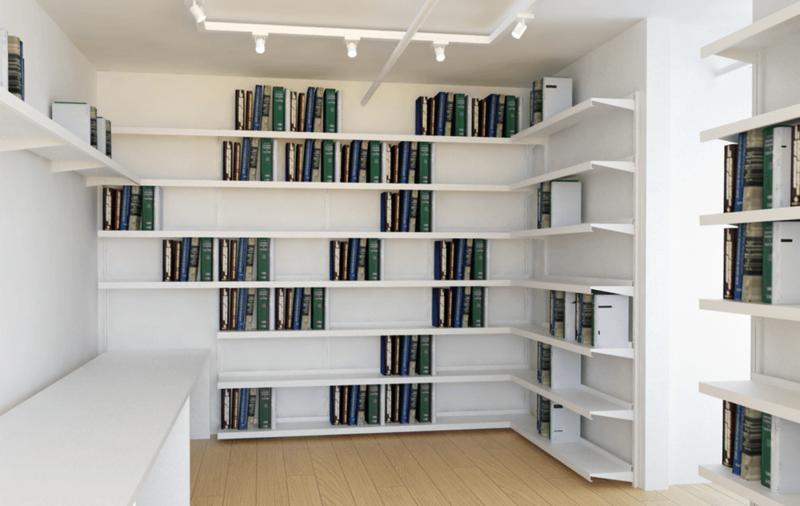 To see a quote for colored shelving call us at (800) 353-1331, or use our Quote form. When completing the form look for the Standard and Custom options under “Shelving Finishes”.